I look out of the plane window 15 minutes before we land in Queenstown, New Zealand. What greets me is miles of snow terrain. It may be winter but the skies are clear with the perfect shade of blue. It’s evident that Glenn and I are going to enjoy our honeymoon. Queenstown is located on the west coast of the South Island, an exciting playground for those who seek adventure or just a relaxation weekend getaway. It also lies close to a small wine producing region and we all know that New Zealand produces some of the best wines in the world! We had our gay wedding the day before and wanted somewhere different as opposed to the typical tropical resort destination for our honeymoon. 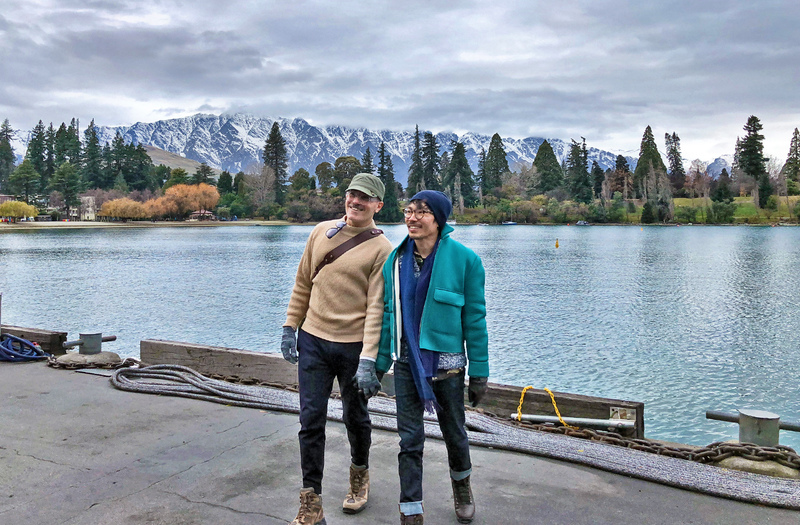 The stunning landscape and diverse experiences in New Zealand’s South Island are the perfect way to start off our new lives. 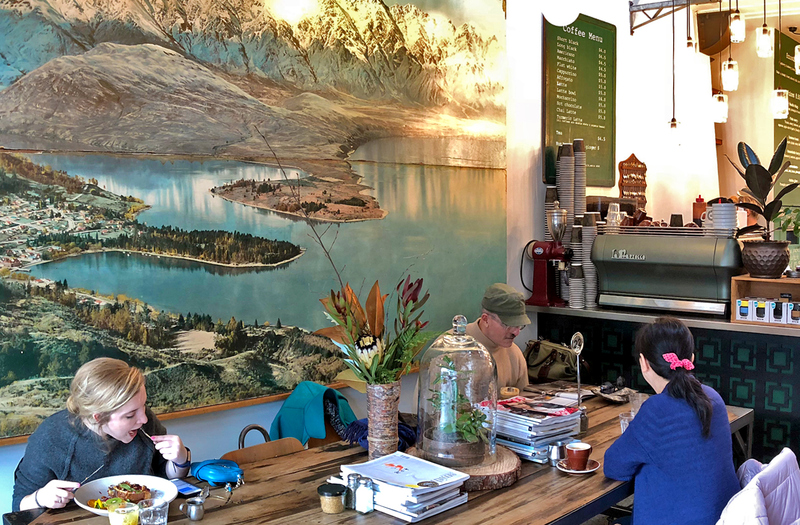 While Queenstown is known more for its snow sports, it also has many eateries that urban travellers would love. If you have no desire to dine at the famous Stratosfare Restaurant and Bar for its sweeping aerial views, here are some other cool venues that Glenn and I suss out. The crowd and atmosphere at Yonder are probably the hippest in town. A cafe during the day, it serves specialty coffee, baked goods, and indulgent brunches made from quality produce. By night, Yonder turns into a restaurant and bar where smaller dishes are served, perfect for sharing with friends or family. The venue also boosts live music and entertainment so your evenings are pretty much covered. 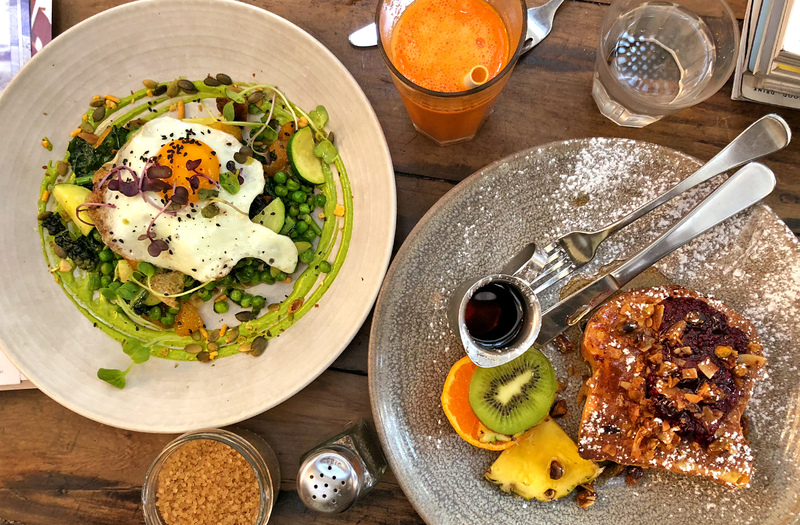 Located not far from Yonder, Vudu Cafe is another eatery that serves up some seasonal modern dishes and cakes made with free-range and free-farmed produce. Cool locals and savvy travellers come here for breakfast, coffees and the vibrant buzz. 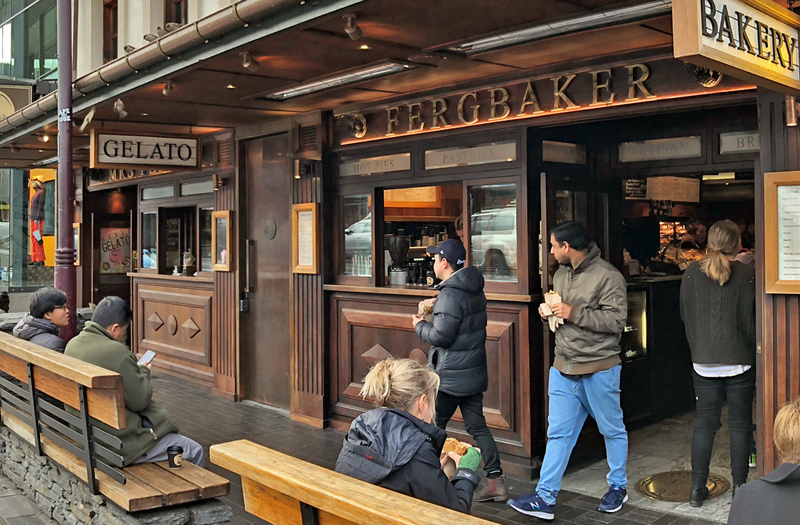 Fergburger has become an institution where customers eagerly line up to try the burgers. People who have visited Queenstown will brag about this joint. There’s always a queue when we walk past so sadly, we don’t get to savour their famous burgers. Glenn doesn’t have the patience when it comes to food! If you’re like Glenn or are pressed for time, get a pie or pastry from Fergbaker instead, right next door to Fergburger. We try the venison pie which has a light and fluffy crust and the warm flavourful filling is exactly what we need to get us through the winter chill. You’ll never run out of adrenaline pumping activities to do in New Zealand’s South Island. After all, commercial bungy jumping began right here! For those with a fear of heights or speed, there are plenty of options which don’t involve screaming at the top of your lungs. The best way to immerse yourself in the lush forest canopy of Queenstown is definitely with a zip-line activity. Run by Ziptrek Ecotours, we take on the Kea tour, a 6-line ride that descends 30 storeys at speeds of up to 70kph and ziplines through trees and foliage. You’ll be rewarded with breathtaking views including a “different” perspective when you hang upside down. The zip-line starts at the top of Bob’s Peak and the best way to get up there is definitely by gondola. One of the largest ice structures in New Zealand, Tasman Glacier lies long and deep in the Aoraki Mount Cook National Park, a 3-hour drive north of Queenstown. An ever changing landscape, there was no terminal lake until after 1973 when the ice shelf started breaking away and depositing icebergs into the water. The glacier will eventually retreat fully so visit before this happens. 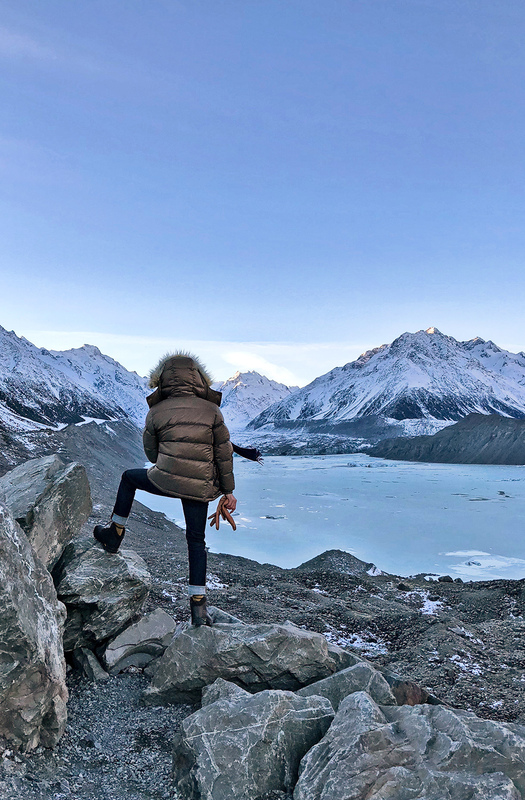 There’s a few ways to experience the grandeur of Tasman Glacier, including by a scenic helicopter flight or boat, but we choose to hike the Tasman Glacier View track. From the peak, you can see the magnificent spectacle of the scenery. 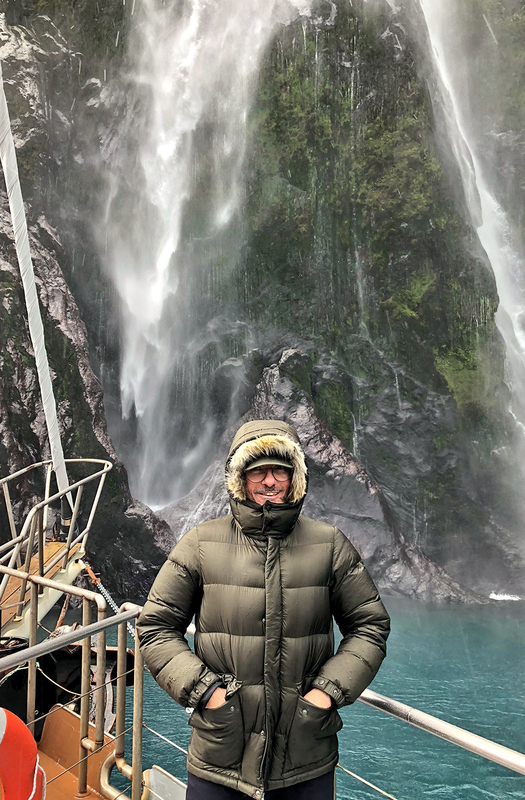 Sometimes called the Eighth Wonder of the World, Milford Sound is where Alien: Covenant was filmed. 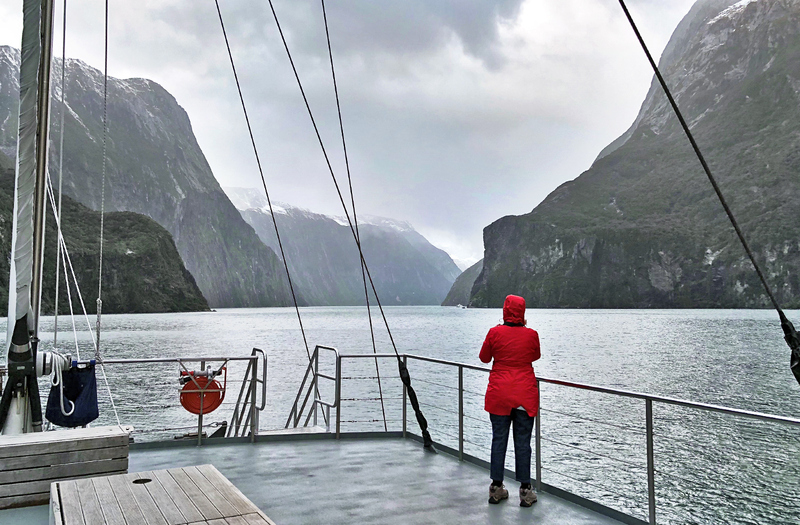 We take a cruise that meanders through the sound and it’s easy to see why it’s one of the most beautiful places in the world – cascading waterfalls, mountain peaks, mirror lakes and wildlife. 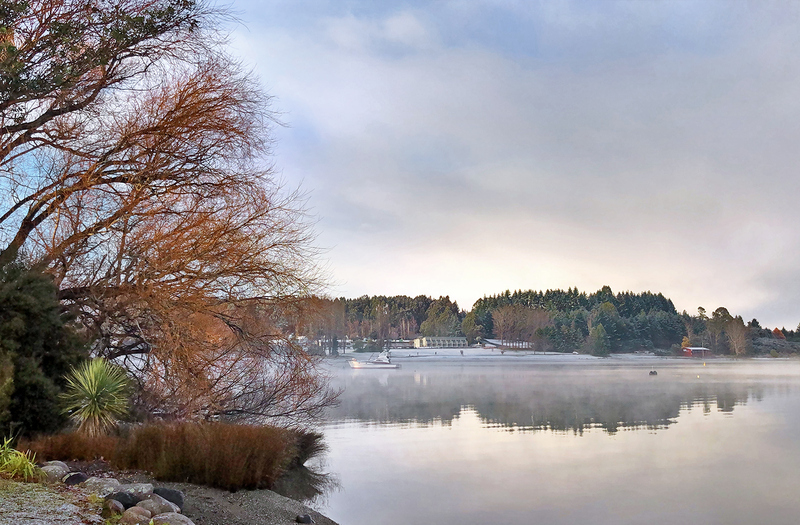 Stunning in any weather, the winter chill and mist add a layer of cinematic atmosphere during our cruise. 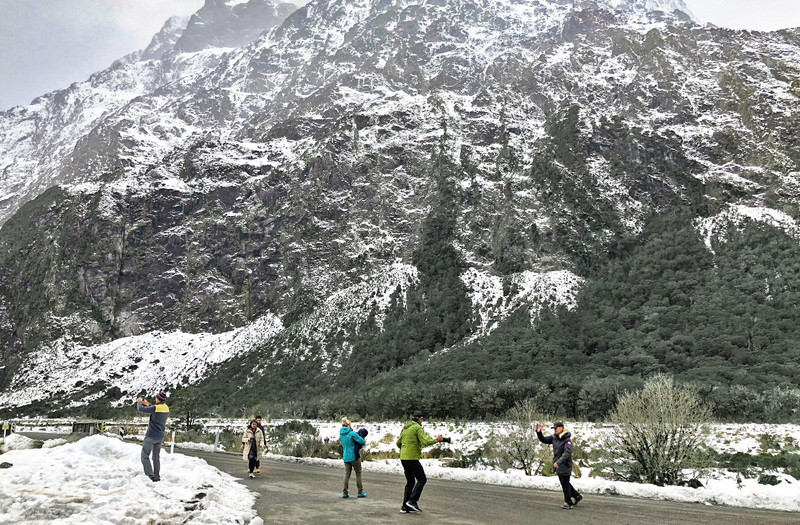 Getting to Milford Sound during winter can be challenging if you’ve never driven on icy roads. I highly recommend booking a cruise package that includes pick up from Queenstown or Te Anau, which is where we stay overnight. 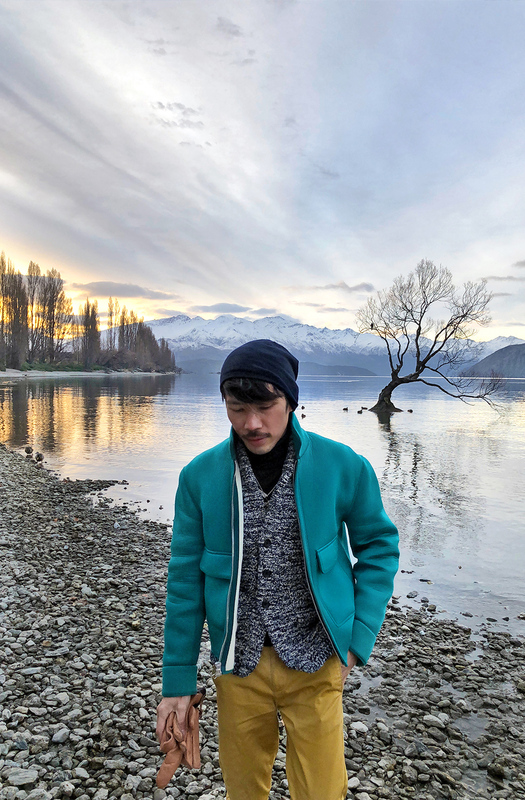 The South Island is without a doubt one of the most picturesque places you’ll ever travel to, the kind that Instagram users would go crazy over. We hire a car to explore parts of the island and every moment is snap-worthy but here are some of my favourites. This instantly recognizable landmark is where photographers spend hours at, either during sunrise or sunset. Perched in the middle of Wanaka lake, the tree stands tall by itself surrounded by calming water against a mountainous backdrop. It’s not hard to see why this poetic landscape is popular. Just don’t be one of those fools who destroy the tree by climbing on it! 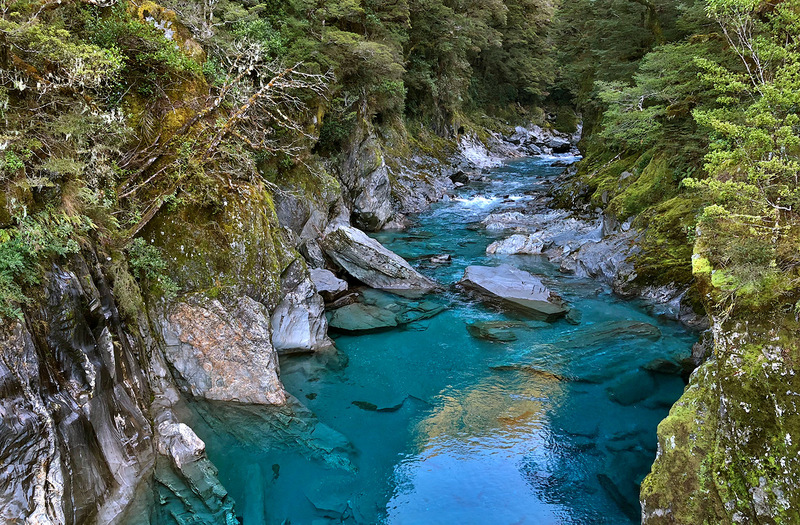 Drive about an hour from Wanaka and you’ll get to the Blue Pools. Like its name suggests, the water is a pristine, clear aqua blue. Photograph the landscape from the suspension bridge – the glistening water stands out even more against the boulders and lush greenery. If you visit during summer, you can even go for a dip in the refreshing water. Strap for time or only visiting Queenstown? Get to the top of Bob’s Peak and be rewarded with an amazing view. 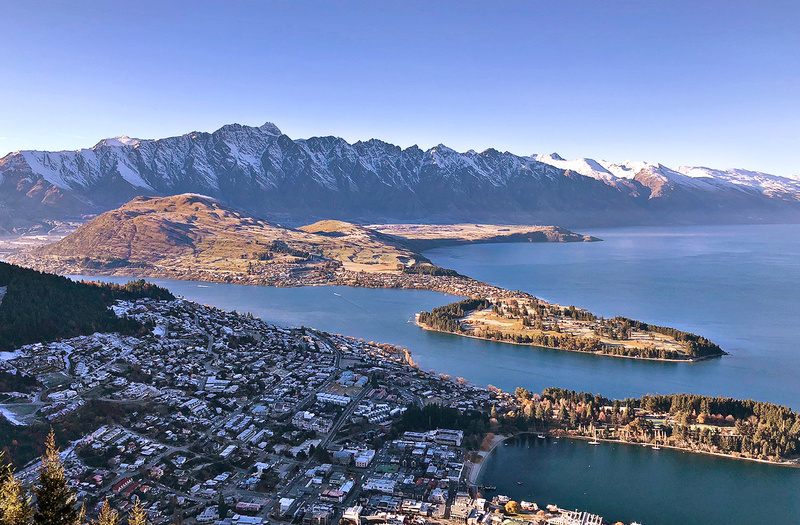 You can see the Remarkables mountain range – a popular ski destination during winter – Lake Wakatipu, Cecil and Walter Peaks. Of course, the iconic view of the town is also on full display. The easiest way to get up to Bob’s Peak is by gondola but if you’re adventurous and have moderate fitness level, you can also do an hour hike. 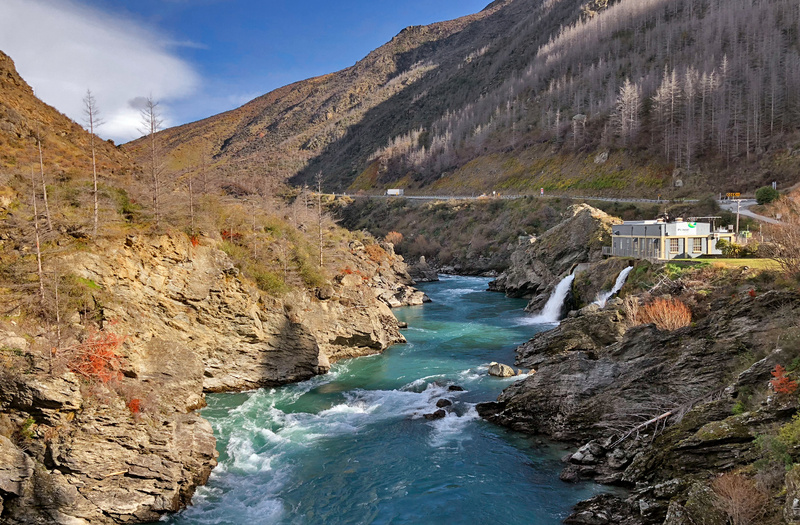 Other noteworthy mentions where you can get those pictures to show off are Crown Range Road (there are closures during winter so make sure you check), Shotover Canyon and Glenorchy. Queenstown and the South Island are stunning all year round, with sceneries similar to Launceston and Cradle Mountain in Tasmania. 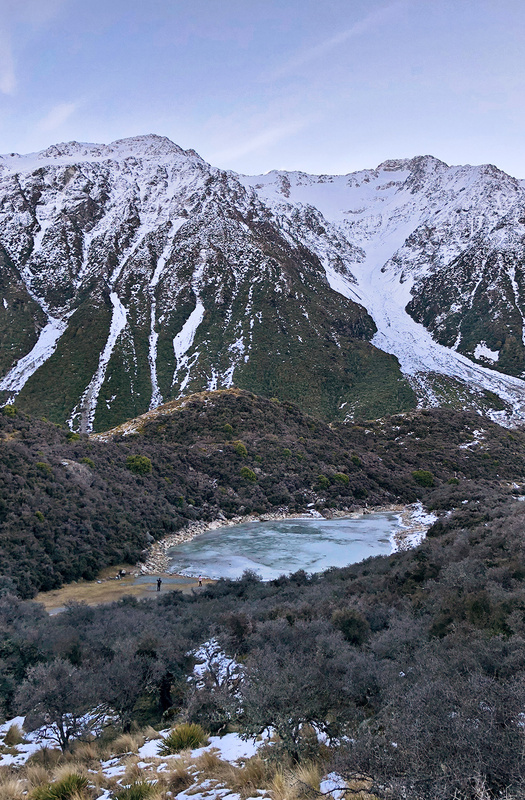 In winter, New Zealand South Island’s beauty is further accentuated by its snowy peaks and terrains. We’ll definitely be back soon, probably during the warmer months to enjoy this adventure capital with a different experience. I hear that people are paddle boarding even at 9pm during summer.